Tells about not quite understanding the market he was targeting and how he created a very specific character called “Moishe the All-Kosher Magician” which didn’t work at all for his target market. He learned a very important lesson of knowing your market. The time he made a young girl smile who hadn’t shown a smile in at least eight years while performing magic at a school for autistic children. 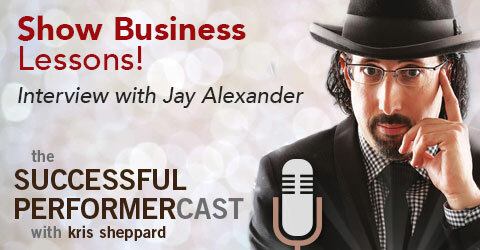 What’s worked well for Jay’s business? Having a great show, word of mouth, and having something easy for the audience to remember about his show. Listen to a fun story involving Jay at the Fillmore with the Rolling Stones, and Card on the Ceiling. What would Jay have done differently? Collaborated with more people and got more advice early on. • You get ahead by working harder than everyone else. • The magic isn’t about you, or even your audience. It’s about the Guest of Honor, or the person that hired you. It’s your job to make them look great! • Every moment from the time the client calls to the moment Jay sends the thank you card is planned and intentional. It’s all part of the Jay Alexander experience. • Going out into the audience right after his show to spend time with them, take pictures and do a little closeup magic. • How he follows up with contacts even if he doesn’t get their business. • Word of mouth and getting video testimonials. • Customizing his shows for his clients: Facebook is your friend! • Getting your audience to remember you. • Getting inspiration by watching bands and how they structure their concerts. Siri: Jay does a great deal through Siri. Also, make sure you have with you at every show, a toothbrush, prop list, color-coded cue sheet, and intro card. Pro tip: If you laminate the prop list, cue sheet, and intro card, you’ll always get them back! Where can we find Jay Alexander?